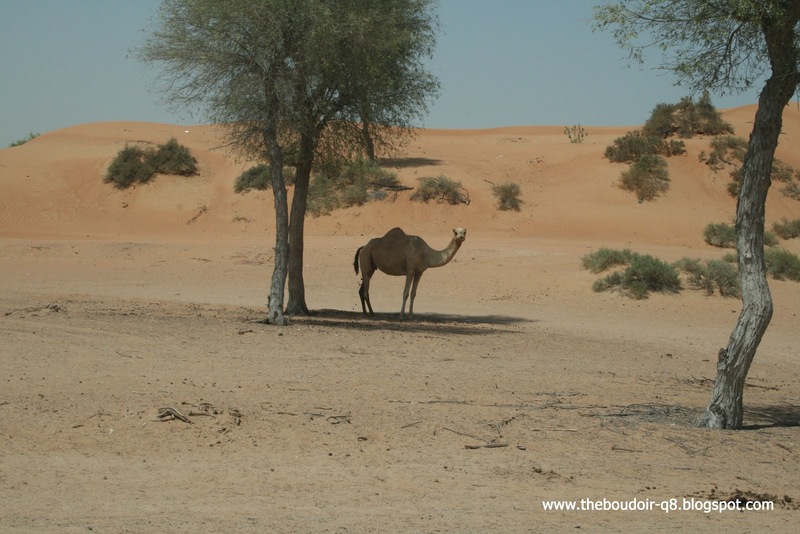 I'm back from my 5 day trip, spent entirely in the UAE. 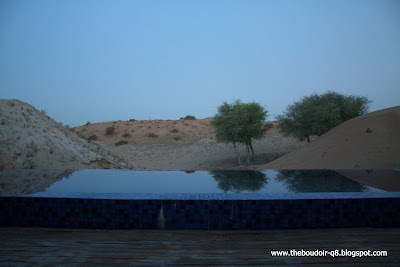 First 3 nights were spent in the newly opened Banyan Tree Al Wadi of Ras Al-Khaimah, the one I have mentioned previously in Spectacular Oasis Part 1. Let me warn you this place is strictly for couples only. 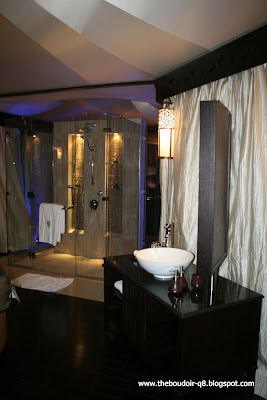 For those of you familiar with Banyan Tree Resorts, you might know that this place first aim is for total relaxation. 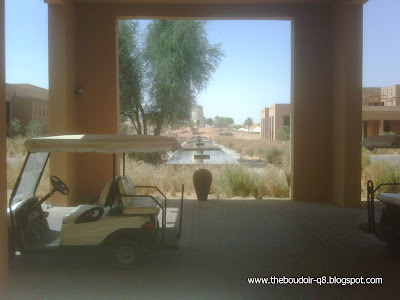 Some of their resorts also specifically help save the environment or are used as reserves like in this specific resort's case for gazelles and other magnificent creatures and birds. Personally, I chose this resort was to relax, lounge and tan in the privacy of our villa's private pool, and to use their award winning spa! 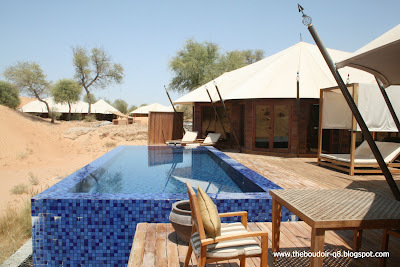 We got the Al Sahari, Tented Pool Villa, and you should too. We've been given a great location too. Our villa was all tinted windows on the outside. In the datime not much can be seen, its a different story at night. 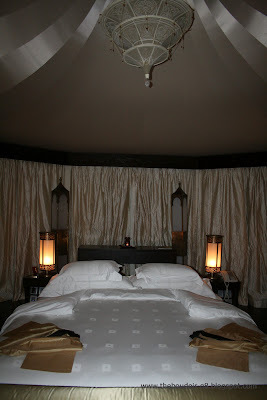 Inside, there were curtains everywhere, giving a feeling of a real tent. Beautiful! One big problem were the insects. We came across different species of spiders, centipedes, flies, ants, etc. But I think that adds to the beauty of the natural environment of the desert. Another huge no-no, was that I have rented a car from Dubai International airport, to drive to the never before seen Ras Al-Khaimah, my cousin who used to study in the UAE with me warned me Ras Al-Khaimah is very very far a 45 minute drive, near Oman, but I never guessed the drive would take forever. 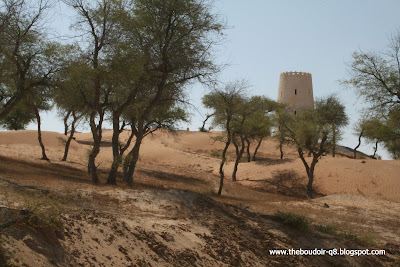 And just a desert to see, n buildings no civilization. If you plan on driving there, don't even think about driving at night, something I did there and spent the whole time praying to arrive safely. Streets deserted and no lights at all, plus there were camel warning signs everywhere, which was scary enough in their narrow line and it was two way street! 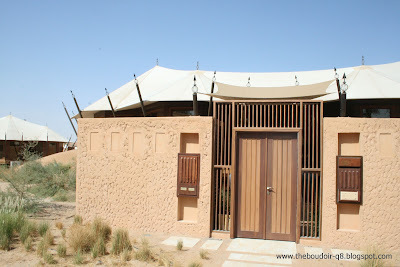 What I found fascinating was that the resort's exit off the main road also took you to Six Senses Zighley Bay in Oman, the one I have also mentioned in the above post. 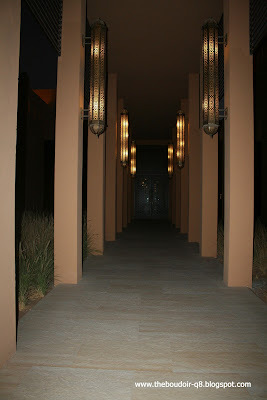 We had dinner the first night in the ever famous Banyan Tree restaurant, Saffron. The restaurant looked nice. But I liked Phuket's menu selection more than this one, but their food was pretty good. 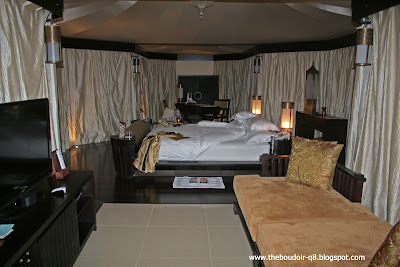 Rest of nights were spent eating dinner in Dubai. The resort's breakfast buffet was nice too. 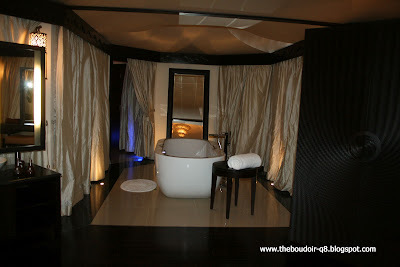 As for their spa, it was spectacular, from the massage therapist to the massage room (or can I say hut) to the treatment! 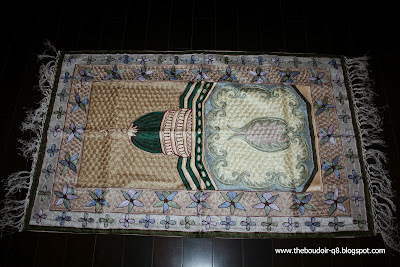 I loved their prayer mat and it's stitching! 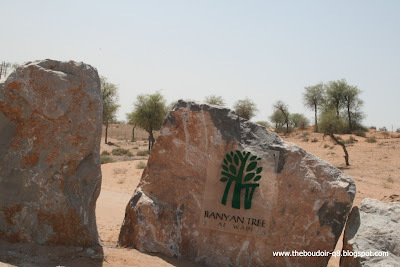 Banyan Tree is chain hotel in worldwide, if you have any plan to travrl, don't miss Banyan Tree.